Where will the future oil supply come from? It’s one of the questions that tanker owners are looking to answer adequately, as it can provide them with a competitive advantage. 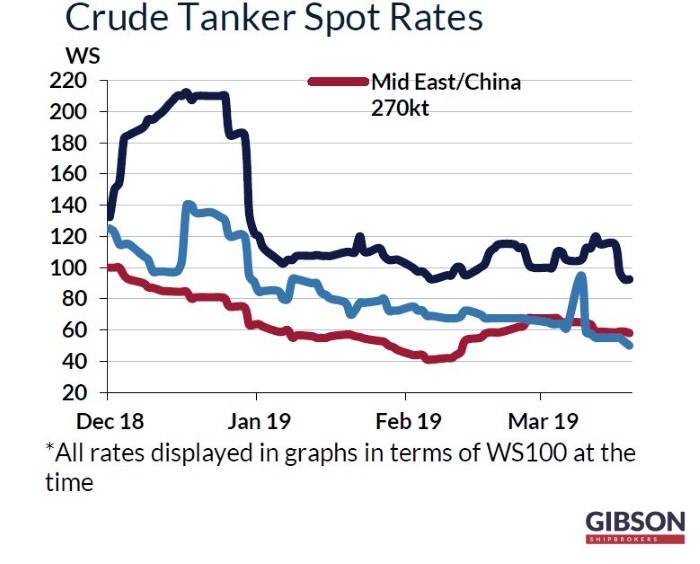 In its latest weekly report, shipbroker Gibson said that “earlier this month the IEA released its medium-term outlook for the global oil markets, which provides analysis and the forecast of the key issues in demand, supply, refining and oil trade through to 2024. The report portrays a positive outlook for oil demand growth, which is expected to continue to increase at a healthy pace, in line with the average growth rate seen since 2000. The gains in oil consumption are projected to average 1.2 million b/d per annum between 2018 and 2024, driven by the expansion of the petrochemical industry and the fast-growing aviation sector. Asia Pacific will see the fastest growth in consumption, accounting for 62% of the total increase in demand”. According to Gibson, “in terms of oil production, the US is forecast to become a dominant supplier of incremental barrels. The country’s output is anticipated to grow by more than 4 million b/d by 2024, accounting for 70% of the total increase in global production capacity. Expectations also are for a 1.2 million b/d growth in Brazilian oil output and a 0.6 million b/d production gain in Norway. Prospects also are strong for major output growth in Guyana, a country that currently does not produce any oil. 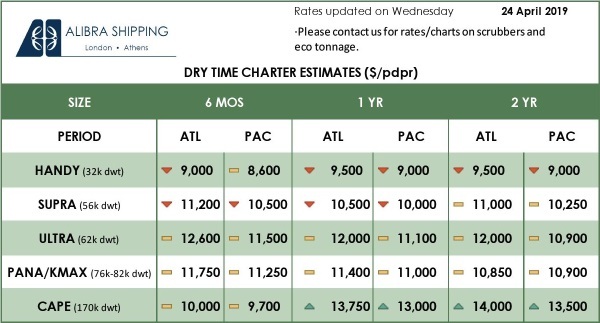 Overall, indications are for a largescale increase in the Atlantic Basin crude availability, despite expectations for declining production in Mexico and Columbia, a highly uncertain outlook for Venezuela and a forecast for a major drop in crude exports out of Nigeria (and to a lesser extent out of other African countries) towards the end of the forecast period, following the start-up of new refineries, most notably the 0.65 million b/d Dangote oil refinery”. Meanwhile, the picture is very different in Asia Pacific. “Oil production is expected to decline in China, Indonesia and Malaysia as output at maturing fields continues to fall, while there are just a few new projects coming online over the forecast period. 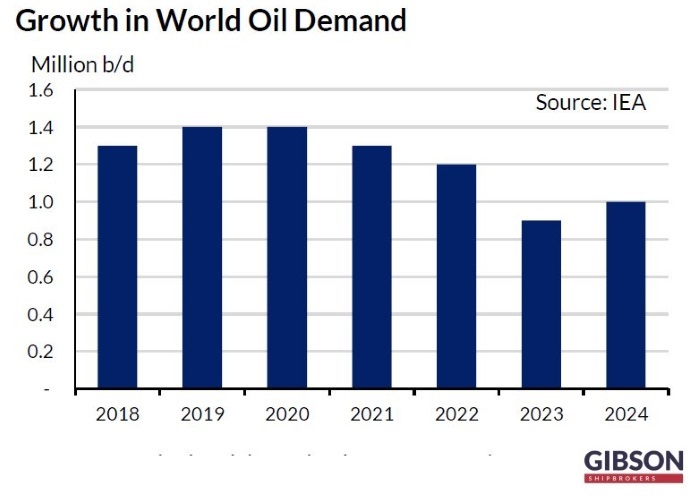 Although the expectations are for some modest increases in Australian output and marginal gains in production in India, cumulatively oil supply in Asia is projected to fall by 0.6 million b/d by 2024. At the same time, expectations are for a notable growth in regional refining capacity, which is expected to increase by 5.3 million b/d over the forecast period. China accounts for most of the growth, with the country’s capacity projected to increase by 3.6 million b/d, as several mega projects are scheduled to come online. Regional refining throughput is likely to see slower growth in order to avoid a product oversupply; however, coupled with an anticipated decline in oil production, Asia’s net crude shortage is still forecast to grow by 3.4 million b/d between 2018 and 2024”, Gibson said. The shipbroker added that “where will this crude come from? An additional 1 million b/d is likely to be sourced from the Middle East, despite planned increases in regional refining capacity and throughput. The IEA points out to efforts being made by several Middle East countries, most notably Saudi Arabia to expand downstream operations overseas, mainly in Asia. Critically, even with more Middle East crude, Asia will still need to source the vast majority of its incremental crude demand from somewhere else. As most of additional oil production is expected to come from the US and Latin America, Asia is highly like to rely on these barrels to meet rising demand. Some incremental volume is also likely to be imported from the Former Soviet Union (FSU), but with limited new crude pipeline capacity connecting FSU countries to the East, most of this trade is forecast to be sourced from export terminals in the Baltic and the Black Sea”. 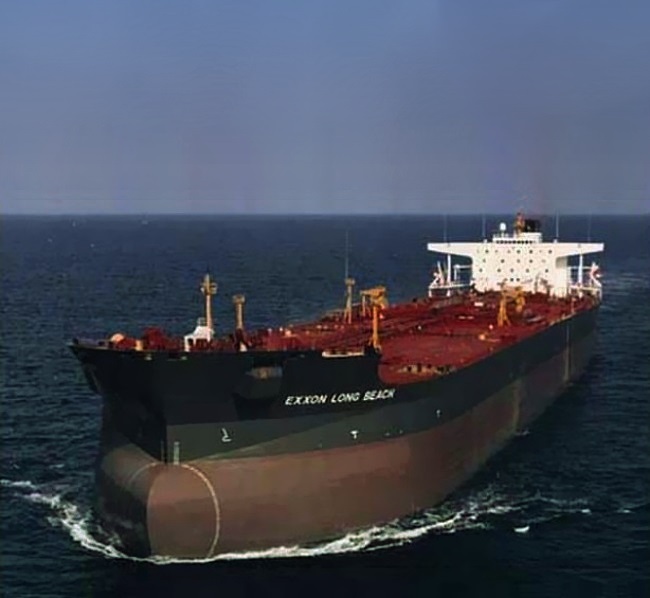 Gibson concluded that “all in all, the latest IEA medium term report offers a bullish outlook for crude tanker demand, despite the threat of expanding refining capacity in some key crude exporting countries. 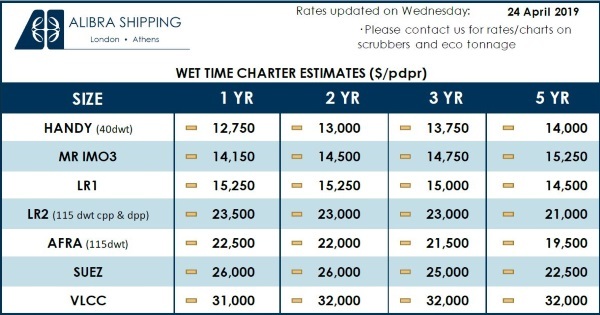 The emphasis is clearly on long haul trade, with VLCCs the biggest winners”.